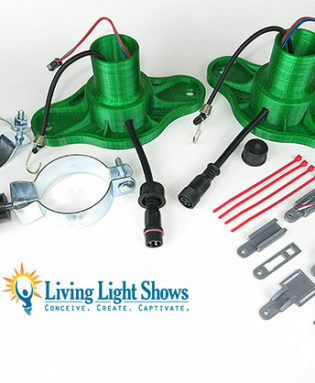 Living Light Shows - RGB Pixel and Color Changing LED Christmas Light Show Products and Services for Commercial Christmas Displays and Music Synchronized Light Shows. 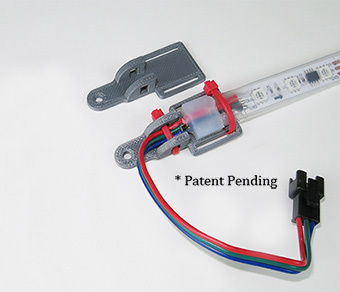 Patent pending design provides attachment point to mount and provide tension for pixel strips to keep them straight and avoid twisting, all without placing stress on the delicate strip circuit board or components. 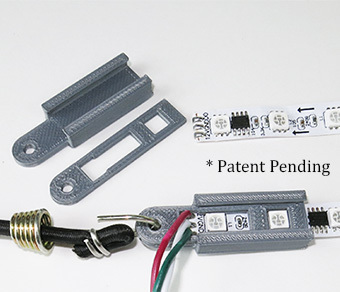 Finally a solution to attaching and providing tension to your delicate pixel strips! One of the biggest compliments we get on our light shows is how straight and clean the lines are. 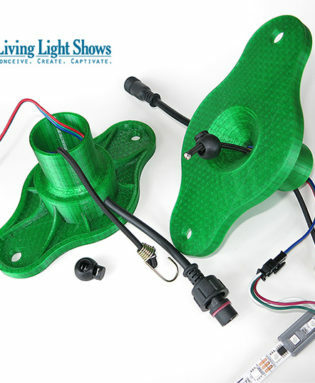 In addition to the increased visual impact, these anchors provide the practical benefit of giving you something to screw, staple, or attach a hook to for securing your light strips and prevent them from twisting. Provides necessary tension to keep strips from twisting inside tubes and over elements. Copyright 2019 © Living Light Shows. All Rights Reserved.